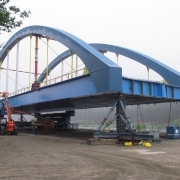 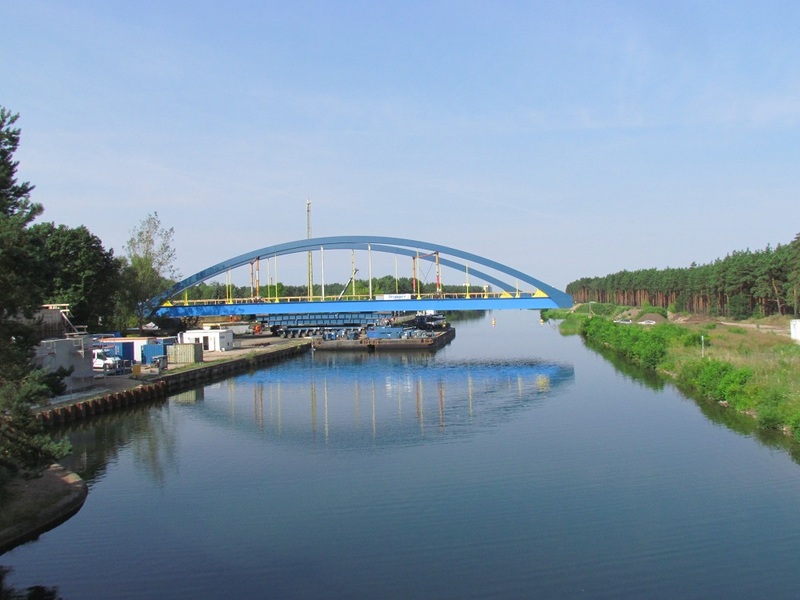 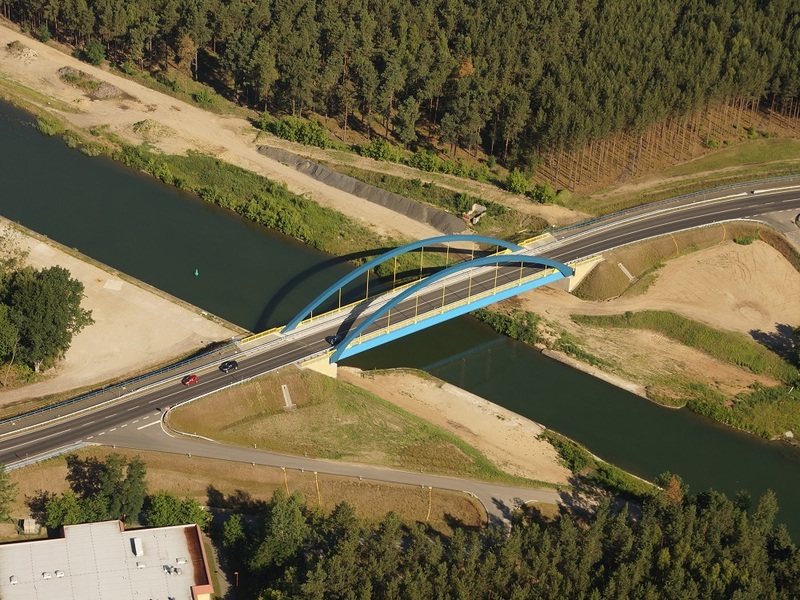 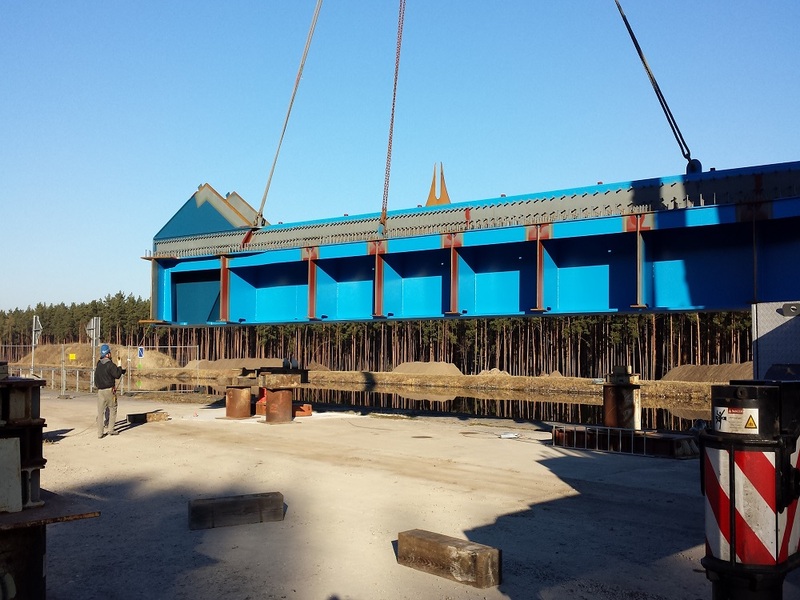 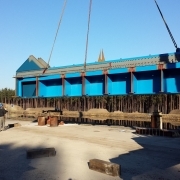 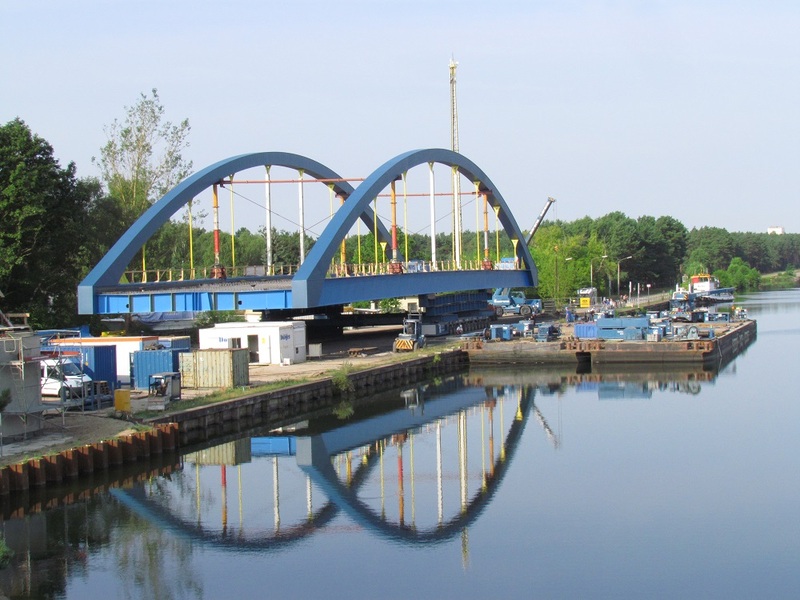 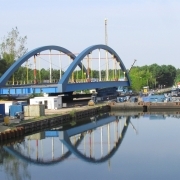 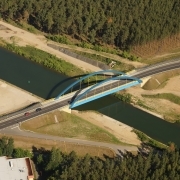 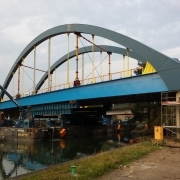 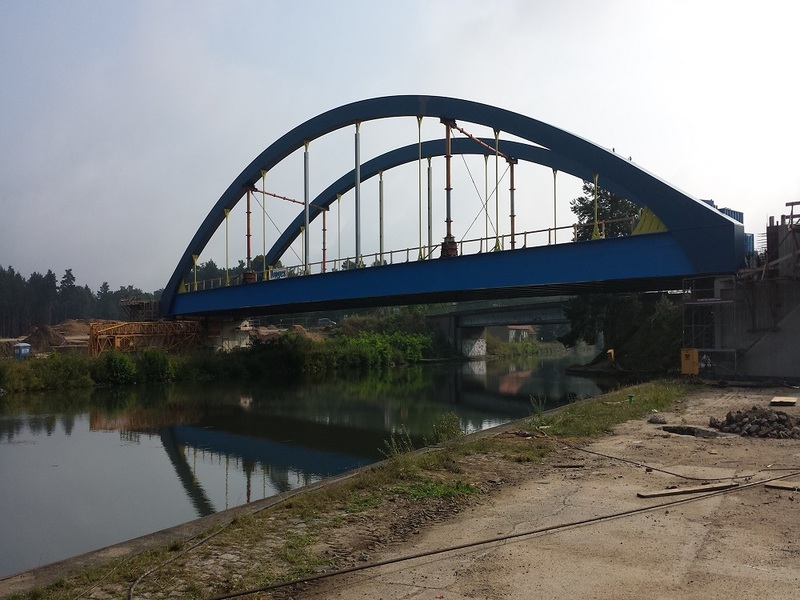 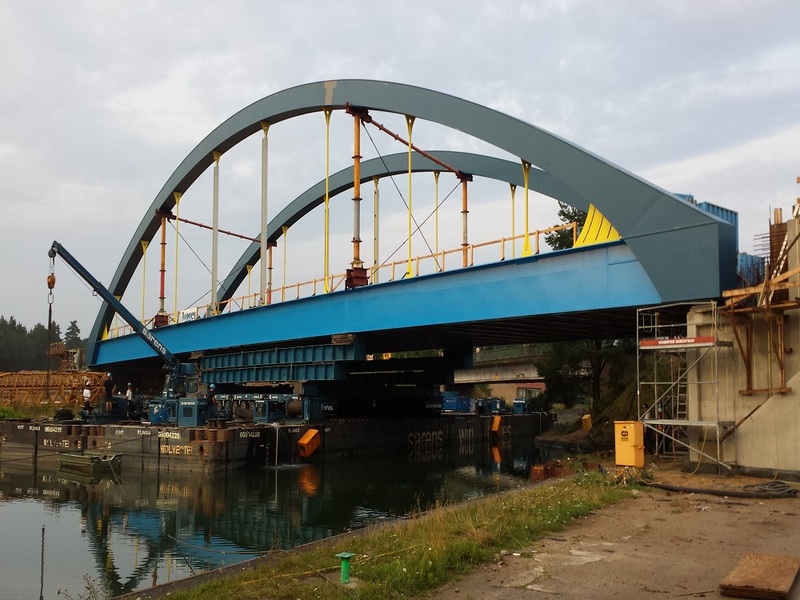 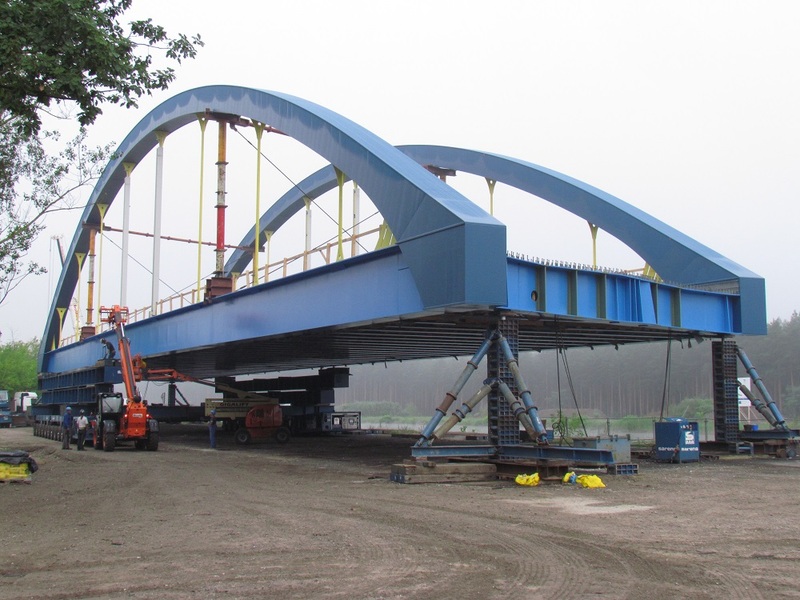 Replacement of the Eberswalde L200 road bridge as a tied-arch bridge over the Havel-Oder waterway. 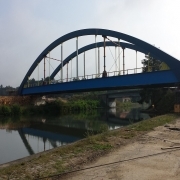 The arch girders of the tied-arch bridge with composite roadway are designed as box girders, the stiffening girders, cross girders and end girders as double T-beams. 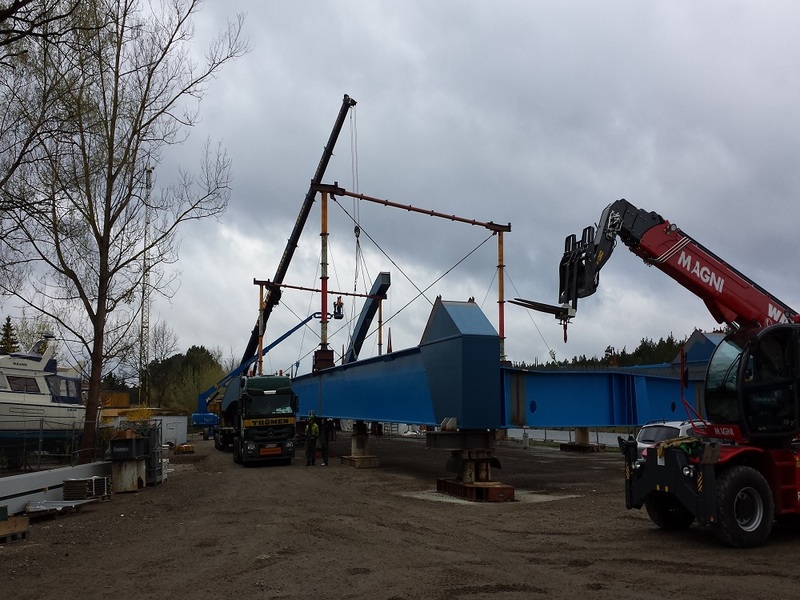 The bridge will be pre-assembled from large parts on the bank, pivoted on land using SPMTs and moved onto the pontoon. 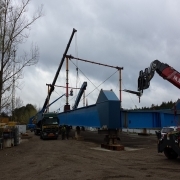 It is floated into place in an eccentric position by means of the pontoon.